Villa Sofia is a well established semi-detached villa in Costa Papagayo with two bedrooms, two bathroom, a private heated pool, hot tub and roof terrace. The master bedroom has a ensuite bathroom and next to the twin bedroom is a family shower room. Villa Sofia also has a fully equipped kitchen, family dining area and an outside BBQ dining area. 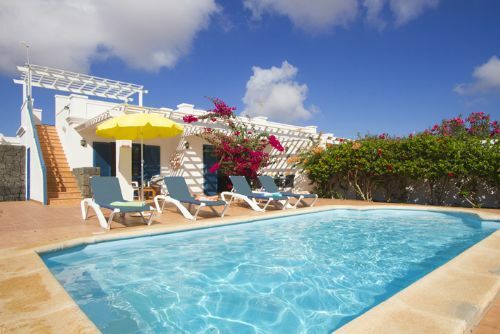 Villa Verano is a new villa on the Holiday rental market. 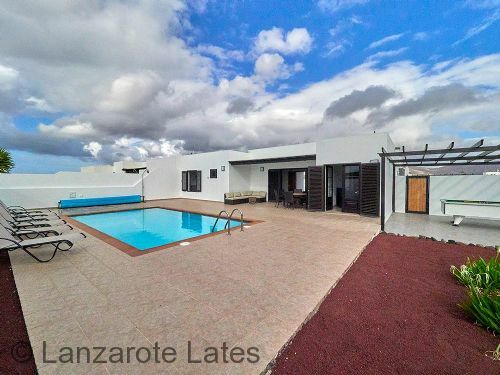 This 3 bedroom modern villa with heated pool is located in the Costa Papagayo area in Playa Blanca. 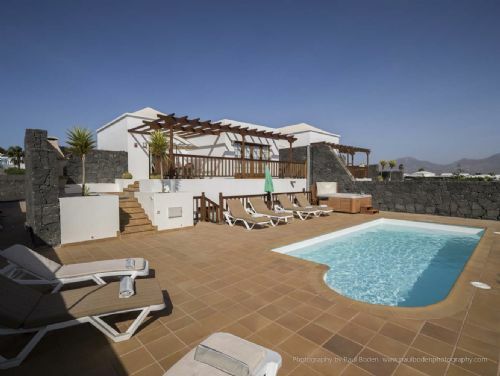 Georgeous 4 bedroom villa in playa blanca lanzarote with heated swimming pool and Hot tub!